Practical solutions to hand rehabilitation and Occupational Therapy solutions for daily living. We are always happy to check your insurance, and this service is FREE, so please do not hesitate to call and ask. We treat a wide range of diagnoses from back pain to pinky pain and much much more. Resources for you to use at home, work and on the go. Don’t DEAL with pain, HEAL it. Nick Rinard Physical Therapy (formerly Mechanical Diagnosis and Therapy of Portland) in Portland, Oregon, is a small network of Physical Therapy clinics devoted to healing people and giving them the power to heal themselves. 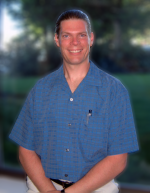 Founded in 1999, MDT of Portland (now Nick Rinard Physical Therapy) was the first Physical Therapy clinic in the Northwest devoted to practicing the MDT Method. We have two Physical Therapy clinics serving the Portland Metro Area and remain the only Physical Therapy practice that specializes in this method. For that dedication we have been rewarded with the reputation as the Physical Therapy Clinic That Gets Results. And we honor that reputation every day by seeing our patients recover, more than 9000 and counting, in as few as 4-6 visits. But don’t just take our word for it; schedule a Physical Therapy appointment today and see for yourself how you can finally live pain free!